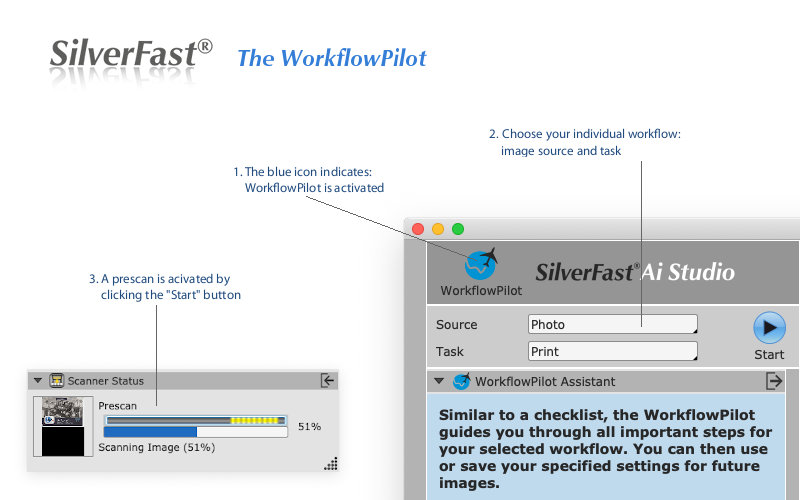 SilverFast Ai Studio includes the full functionality. 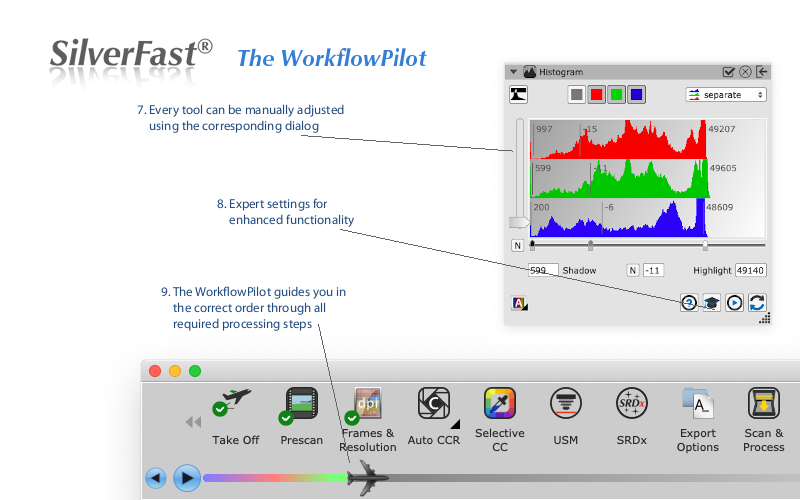 The patented and award-winning Multi-Exposure increases the scanner's Dynamic Range, removes natural image noise and provides more details. 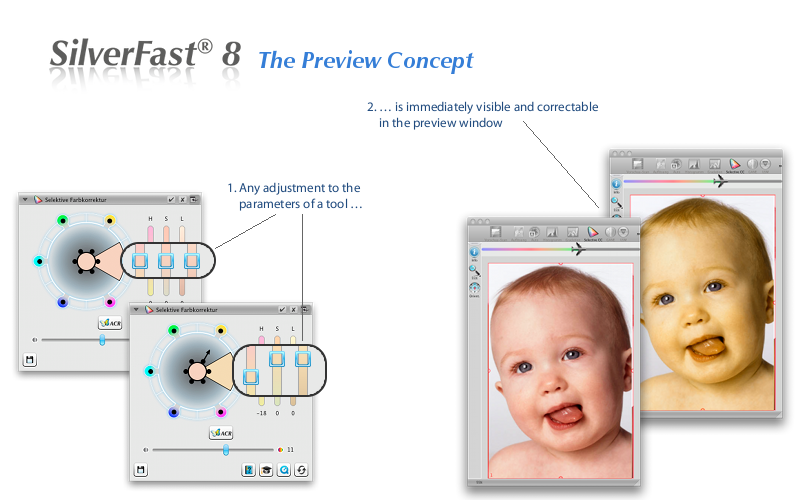 The included Auto IT8 Calibration ensures correct colors. 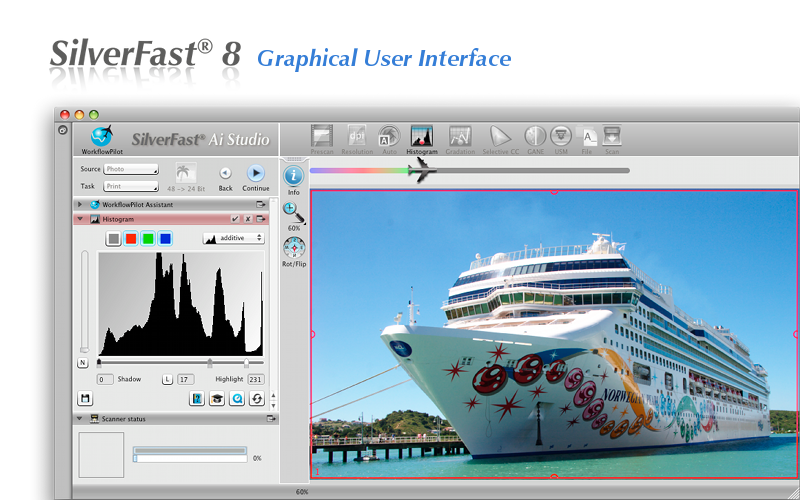 The Auto Adaptive Contrast Optimization AACO can optimize dark, high-contrast image areas in the twinkling of an eye, without affecting details in the highlights. 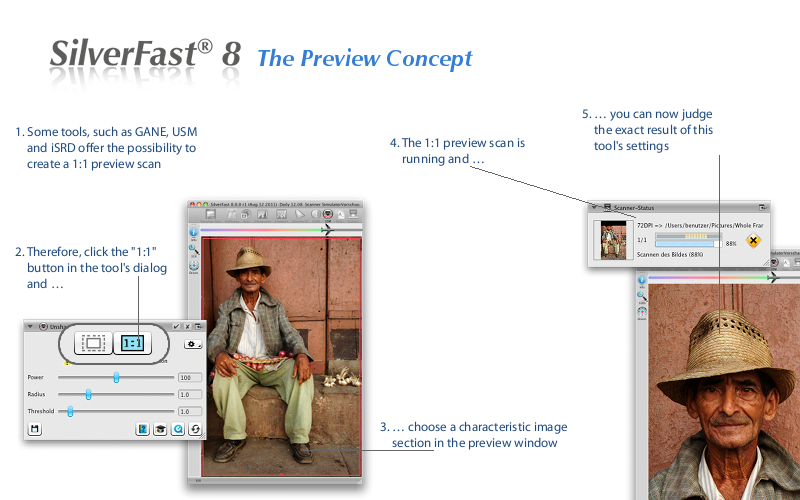 Photographers and professionals from all areas of digital imaging rely on our software. 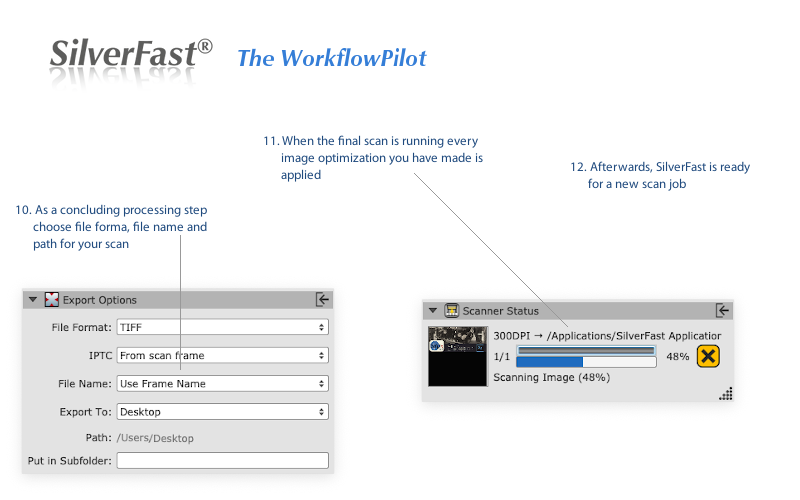 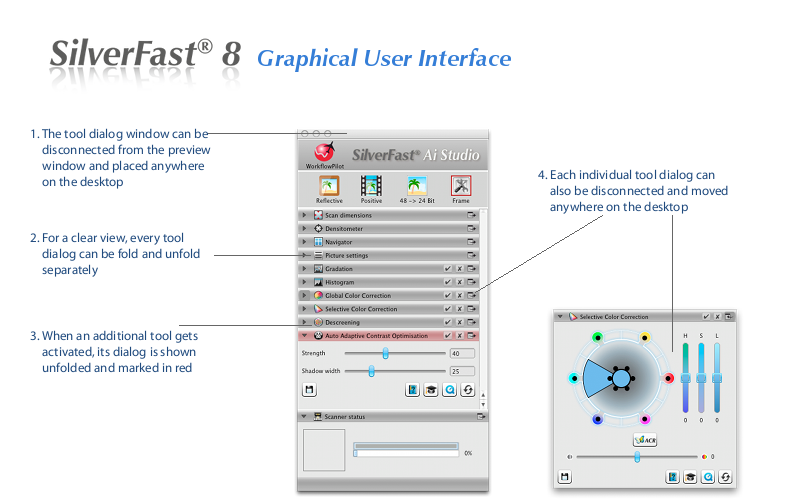 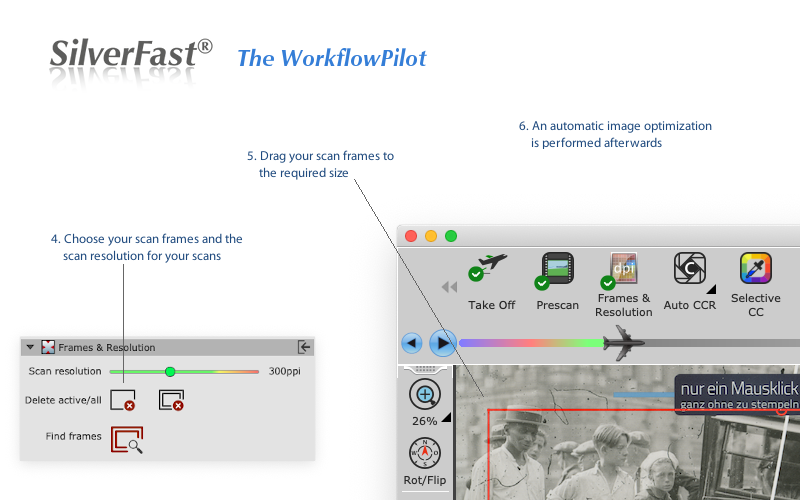 SilverFast Ai Studio 8 is integrated into the workflow by many companies in the graphic arts industry who rely on smart algorithms and expert dialogs for image enhancement. 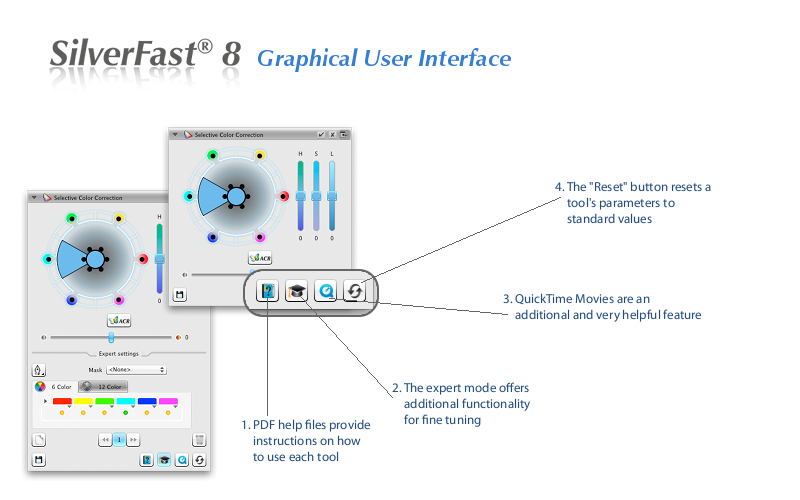 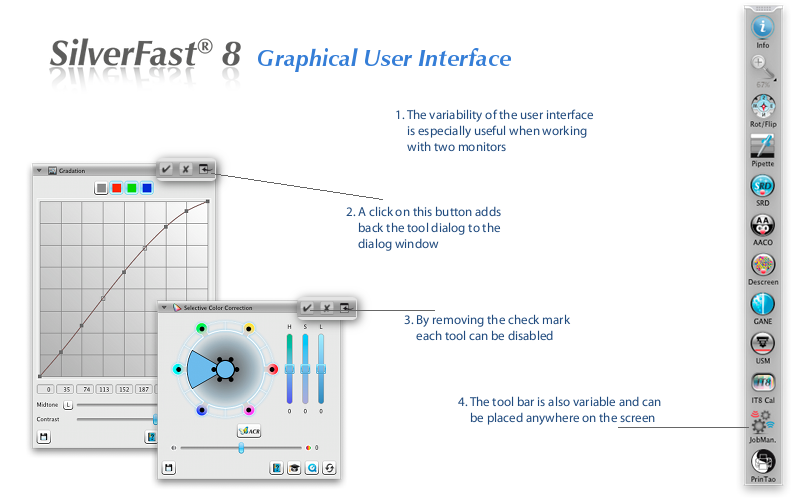 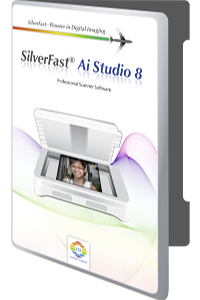 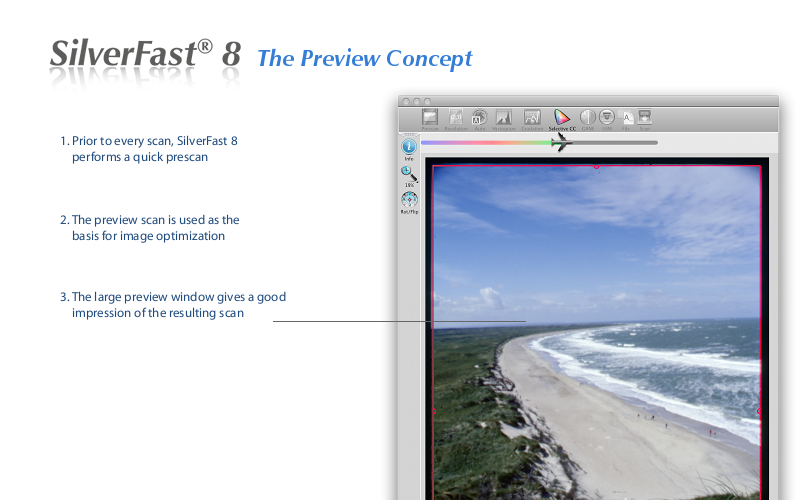 Benefit from our years of experience and test SilverFast Ai Studio 8 for free and without obligation.